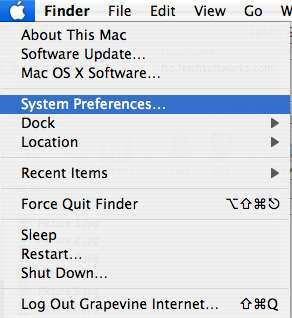 Below are the step-by-step instructions to set up your Mac OS X machine for Dial up. 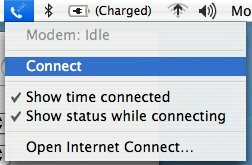 3) Choose Internal Modem from the "Show" drop-down menu. 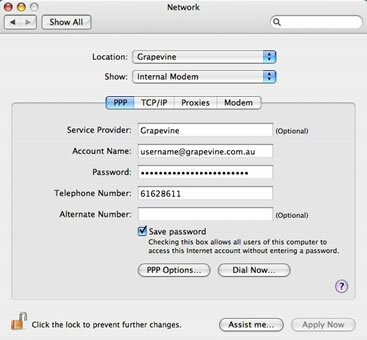 Account Name: Type in your username - ensure your username is your full Grapevine email address. Password: Type in your connection password. Telephone number: Type in the telephone number field the Grapevine dialup number (ACT - 6162 8611). 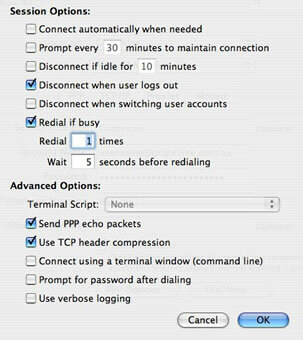 5) Click on PPP Options, and ensure the settings are similar to the ones below, then click OK.
6) Click on Dial Now and this will prompt you to connect. 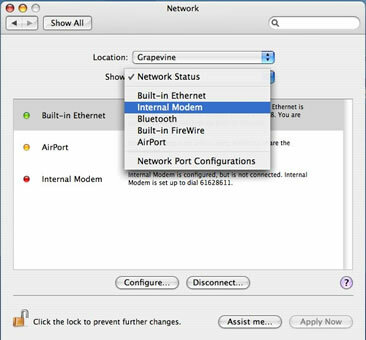 Ensure your phone line is connected to your machine and click Connect. 7) At the top of the screen, click on the telephone icon and select Connect. 8) Once you are connected, you will see a screen to the one below. You are now connected to Grapevine.